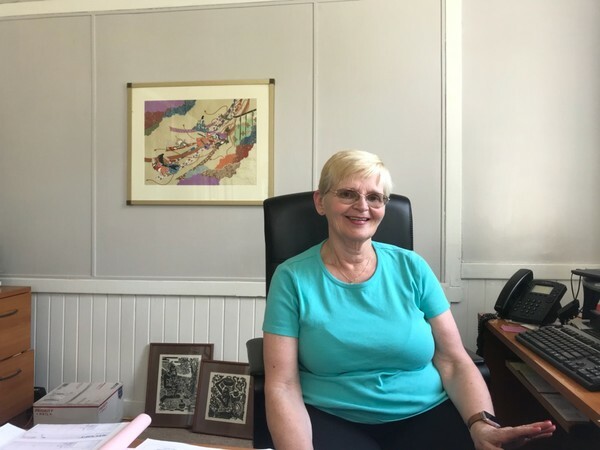 Emory medical student Rebecca Steinberg interviews Cindy Bowden, Executive Director of the Clarkston Community Center, about the 2nd Annual Clarkston Community Center Health Fair. They discuss information about the fair, what it includes, and why you and your family should consider attending. There will be 24 health vendors at the fair, and 3 food vendors. 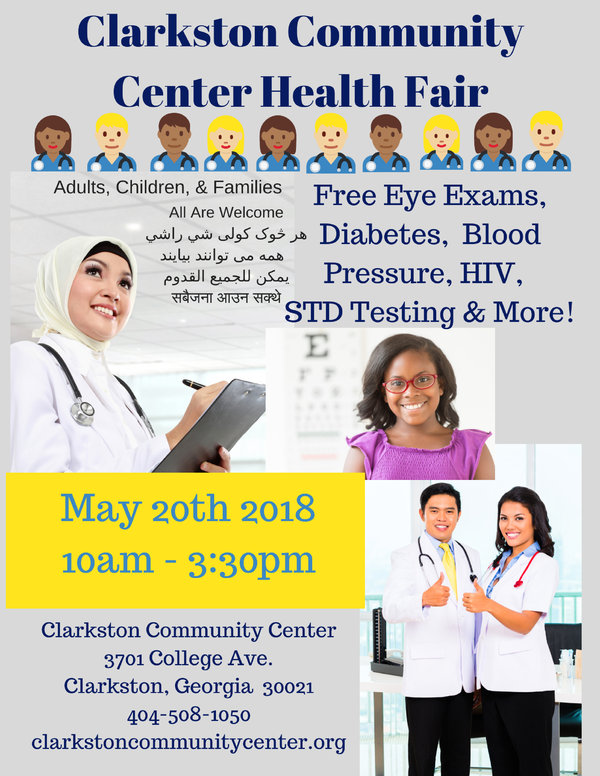 The Clarkston Community Center will host a free health fair for adults and children on Sunday, May 20 from 10:00am to 3:30pm. The event will include representatives from a number of local health organizations and will include information and screenings for such diseases and conditions as high blood pressure, diabetes, heart disease, HIV, sexually-transmitted diseases, domestic violence injuries, hepatitis B, vision, and more. The day's activities are being planned by medical students at Emory University: Anna Zimmer, Shawn Wen, Jonathan Tingle, and Keywan Behbahani. Partners will include the Diabetes Association of Atlanta, Center for Pan Asian Community Services, AID Atlanta, Cigna, Great Day Family Connections, Headstart, Center for Victims of Torture, Insure Georgia, Georgia 2020 - a network of vision service providers and more.